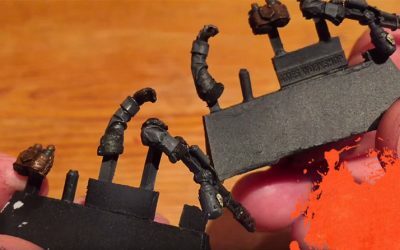 An in depth guide to sculpting miniature candles. 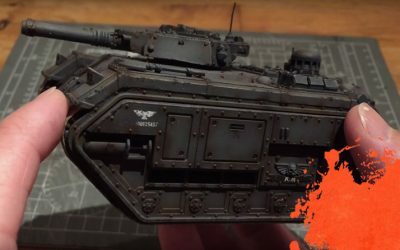 Unboxing video for Forgeworld’s Imperial Marauder Bomber. 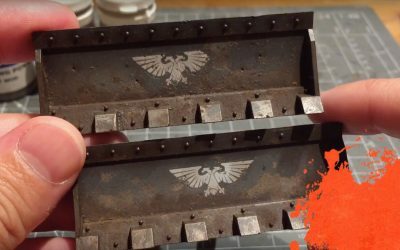 Step-by-step guide to making spent ammo shells and casings for 40k to bring your models and bases to life. 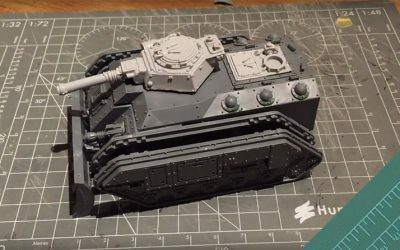 Full painting guide for Forgeworld’s Gorgon Armoured Transport. 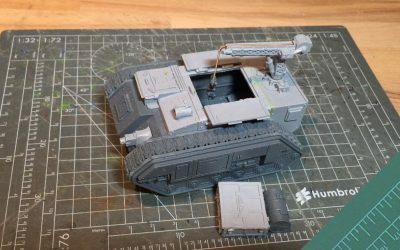 Adding antenna, spent ammo shells and infantry to the Gorgon Transport. 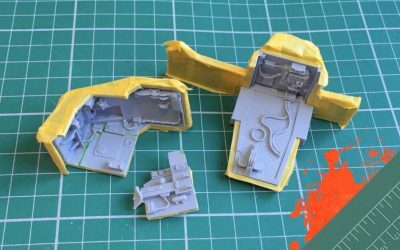 Installation guide for my Internal Sponson Conversion Kit. 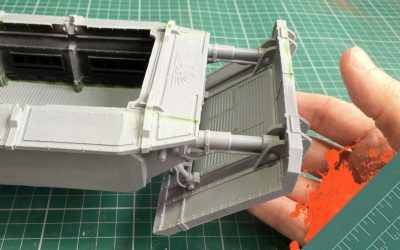 Assembling the Gorgon Transports driver cab so you can still paint the interior. 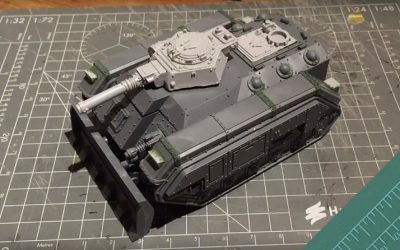 An in-depth guide to building and painting Forgeworld’s Gorgon Armoured Transport. 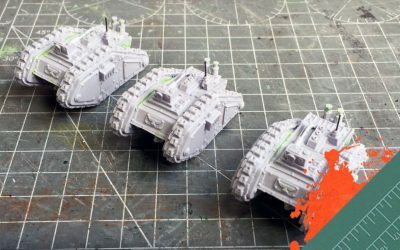 In this first video I focus on the tracks and track unit. 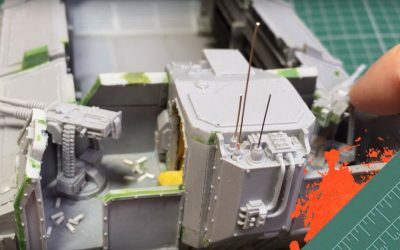 How to use artist oils to create a pin wash for panel lines and weathering effects such as rain streaks and rust marks. 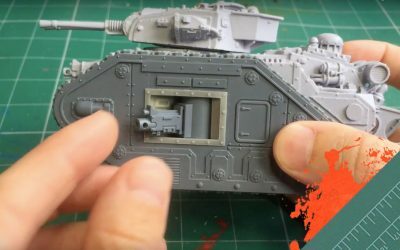 An overview on scratch building internal sponsons from plasticard for the Leman Russ tank. 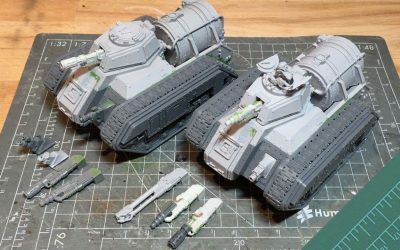 I scratch built a Chem Cannon and Melta Cannon to convert my Forgeworld Hellhound into the Bane Wolf and Devil Dog variants. 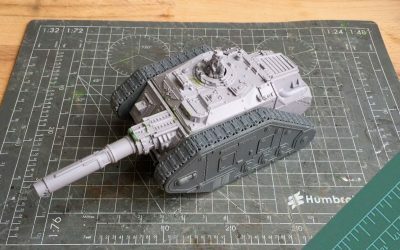 A quick overview and build guide of Forgeworld’s Graia Pattern Hellhound, also covering how to add a tank commander and magnetise the turret weapon. 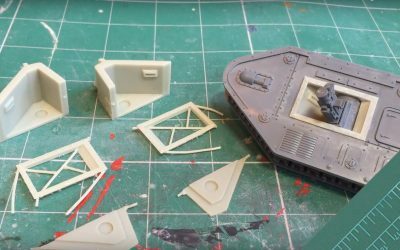 Tutorial on how to add the Krieg filter units and trench rails to a Stygies pattern Destroyer Tank Hunter. 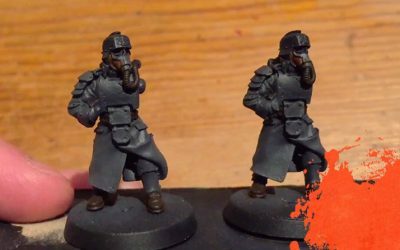 A step by step guide for adding the Krieg Tank Commanders to any Forgeworld or Games Workshop Astra Militarum tank. 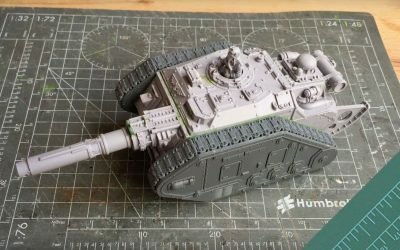 A quick review and build guide for Forgeworld’s Destroyer Tank Hunter and showing you how to magnetise the main gun for ease of transportation and storage. 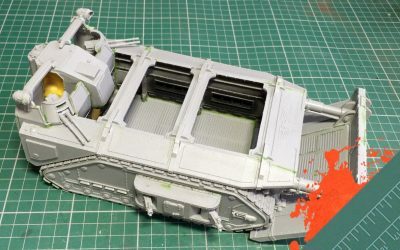 A painting guide for Forgeworld’s Cyclops Demolition Vehicle. 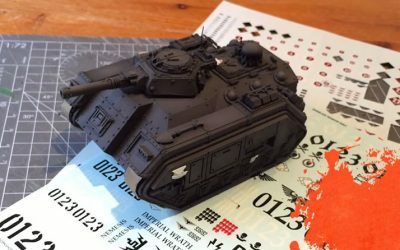 I cover putting down the base colours and adding transfers. 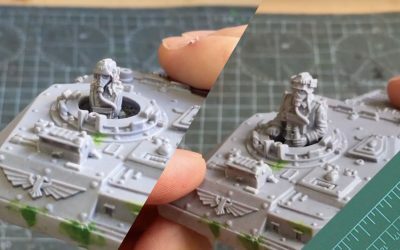 A quick guide on assembling your Cyclops and how best to prep the resin for painting. 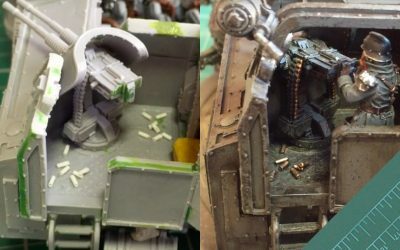 Roundup from the Warhammer GT heat 1, where my Krieg battled Genestealer Cult, Eldar, Adeptus Custodes, Astra Militarum and Primaris Space Marines and also won Best Army! 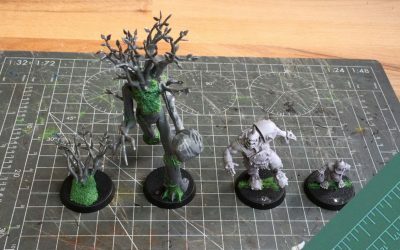 Video guide on how to convert Deeproot Strongbranch from the Lord of the Rings Ent kit, along with showing the Warhammer World exclusive models Grak and Crumbleberry. 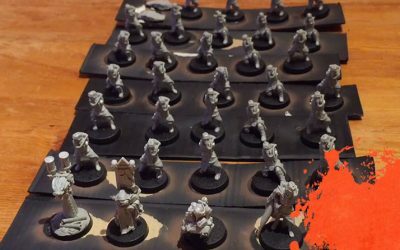 In this third video on converting a Halfling Blood Bowl team I focus on the coaching staff. 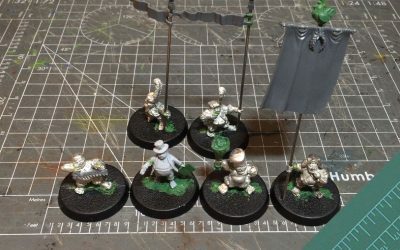 Creating a Manager, Halfling Master Chef, Apothecary and several standard bearers to represent the turn, re-roll and score markers. 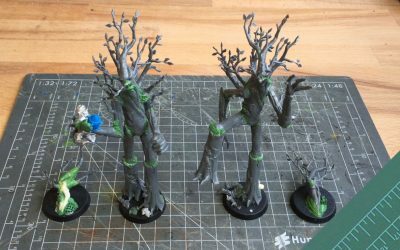 Tutorial video on converting the Lord of the Rings’ Ent models into Treemen for Blood Bowl. I also create the down tokens and magnetised skill tokens. 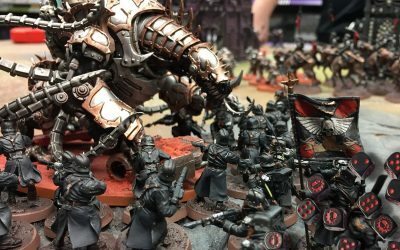 A one day doubles campaign at Warhammer World as part of the Fate of Konor global campaign. 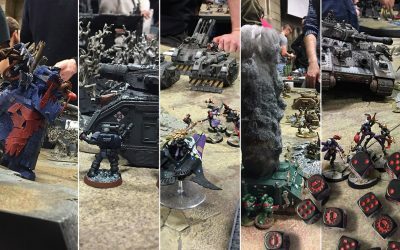 A 3 match battle report. 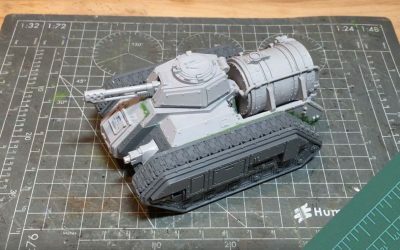 A build guide for the Forgeworld Trojan. 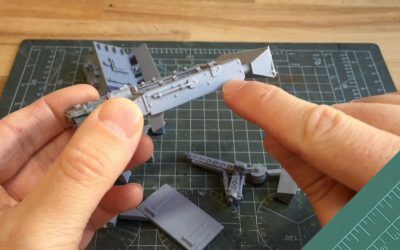 Showing how to fix a few issues with with the kit, along with how to create the cable and hook needed for the crane. 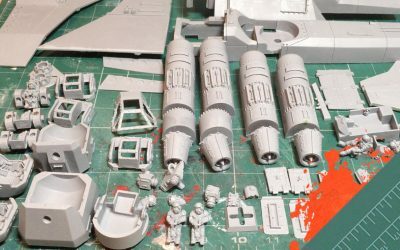 Quick guide to prepping Forgeworld resin ready for assembly. 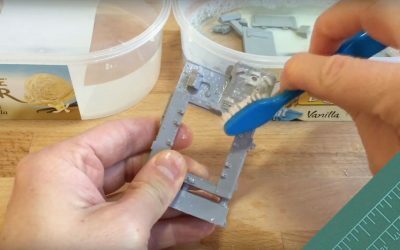 Showing the best way to remove casting gates and mould lines from your models. 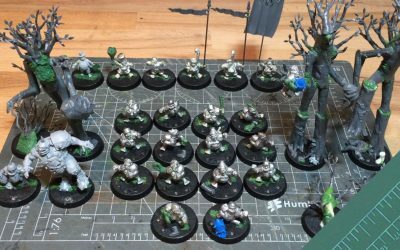 A step by step guide to converting my Halfling Blood Bowl team. The battle of Divan IV. 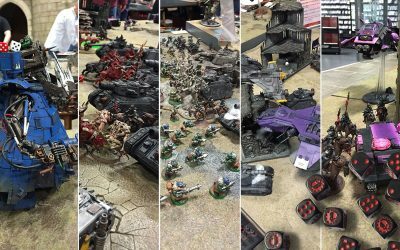 A narrative battle report. 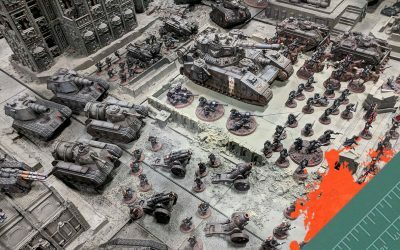 A brand new narrative battle report. 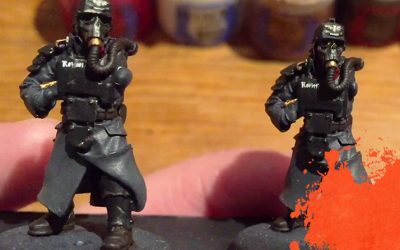 Set on the world of Divan IV, a force of Crimson Fists and Death Korps of Krieg battle it out against Iron Warrior’s and Emperor’s Children. 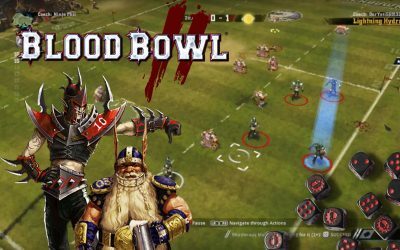 A match highlight for Blood Bold 2. I’m playing Dwarves up against Dark Elves. 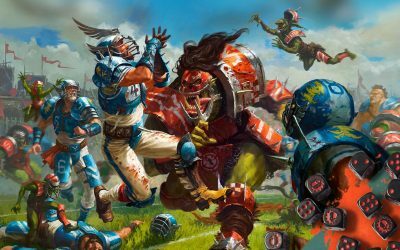 There’s a crazy last minute touchdown for the Dwarves which has to be seen to be believed. 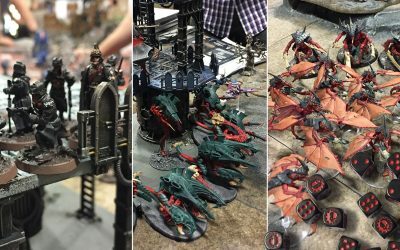 Highlights from the Blood Bowl Seminar run by James Hewitt and Andy Hoare at Warhammer Fest 2017. 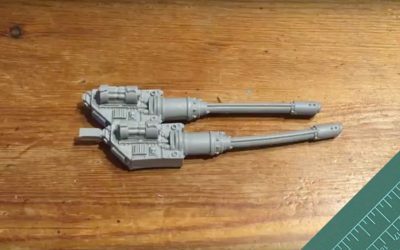 How to magnetise the Hive Guard weapons and arms to use both the impaler cannon and shock cannon options on your Hive guard. 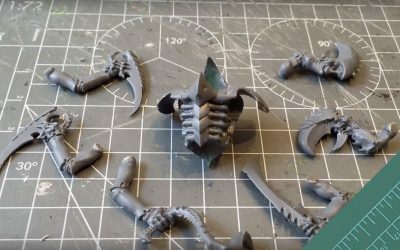 A complete walkthrough for magnetising all the weapon options on the Tyranid Tyrant Guard models. Allowing you to switch between Scything Talons, Bonesward & Lashwhip and Crushing Claws. 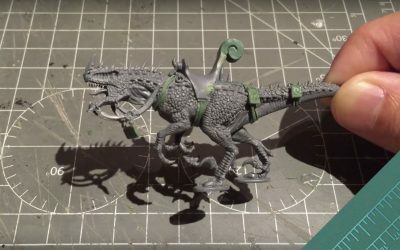 Converting a Seraphon Cold One from the more detailed Drakespawn Knight kit. 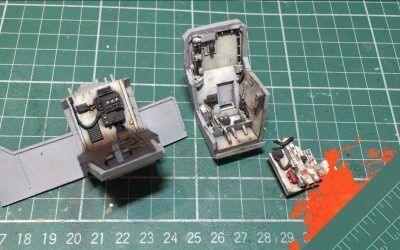 In this min-series I show you how to convert up some Krieg crew for the Rapier Laser Destroyer Battery. 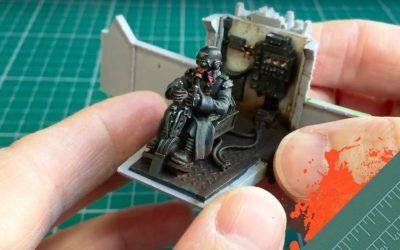 First in a series of videos detailing how modellers should work with resin. 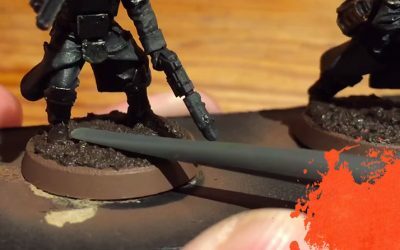 Showing you how to bend deformed Forgeworld resin back into its correct shape with a quick and simple solution. 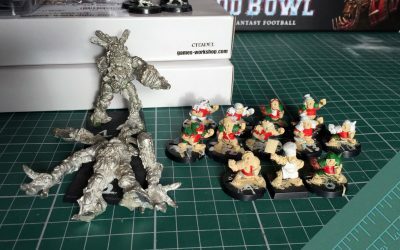 Recreating my old Blood Bowl team from the 90s, I dig out my Halflings and get to work on modernising the team. 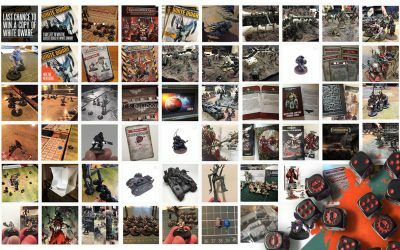 A look back at the last month’s action on Instagram. 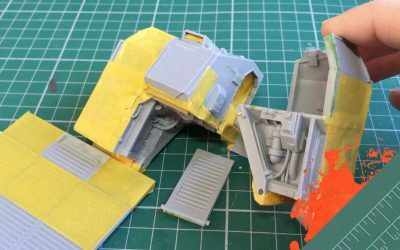 Step by step guide to painting battle damaged tank bulldozers. 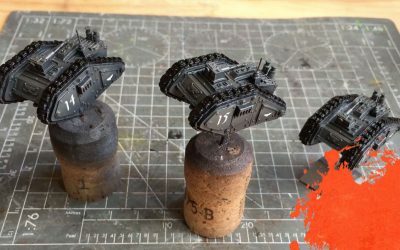 A 5 game battle report from Battle Brothers: The Great Devourer. 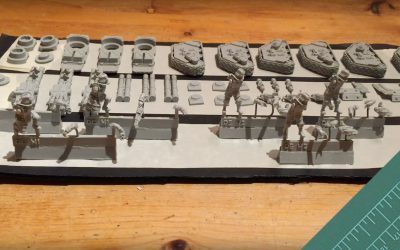 Featuring Krieg team up with Harlequins to take on the might of Orks, Space Marines, Astra Militarum and Chaos Daemons. 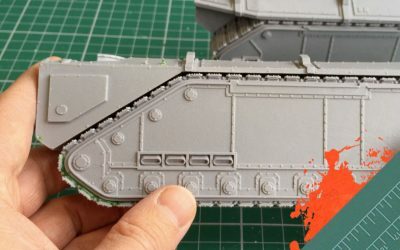 Covering several weather, chipping and rust effects for tanks. 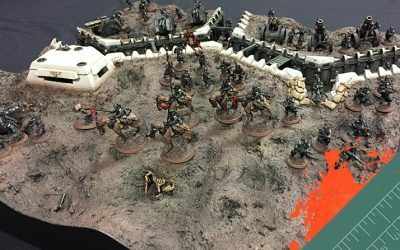 Photography showcase of my Krieg trench board for Armies on Parade 2016 hosted up at Warhammer World. 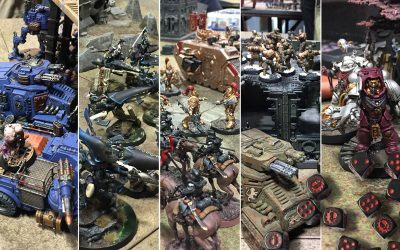 Some highlights from the Reign of Blood campaign weekend at Warhammer World, 28th and 29th May 2016. 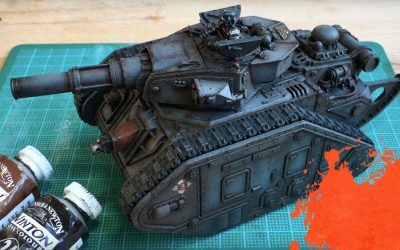 In part 3 of this series I showcase how to use transfers to make the tank look more realistic. 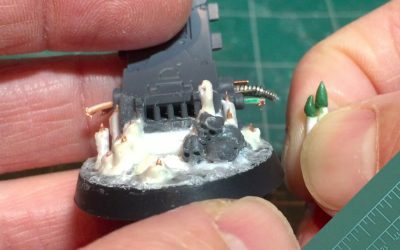 In this video I cover how to use an airbrush to build up the base colours and create some natural highlights. 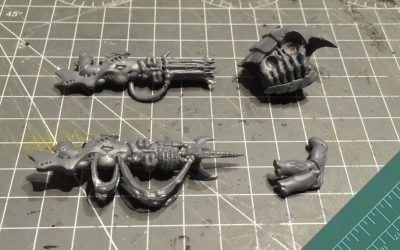 I talk about the final stage of sub-assembly for the Death Korps of Krieg Grenadiers, attaching the arms to the model. 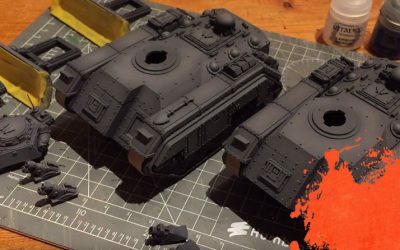 How to paint the Grenadier arms and weapons along with heat distortion effects for flamers and meltas. 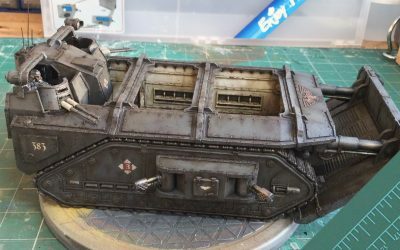 Adding all the transfers, painting the details and the highlights. Part 3. 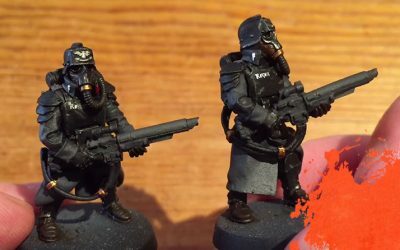 Adding depth and shading with shade paints, sometimes known as washes. 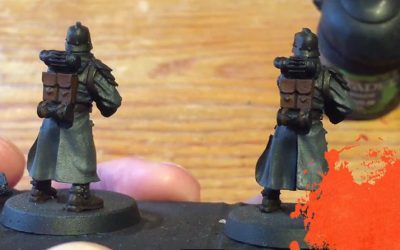 Showing which base layers to put down on the Krieg Grenadiers. 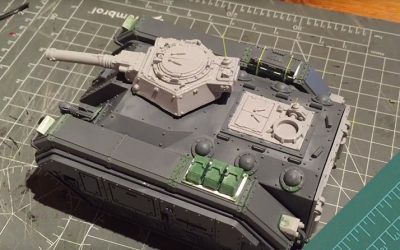 In this video I talk about adding additional detail to the whole tank to create a realistic, unique looking tank. 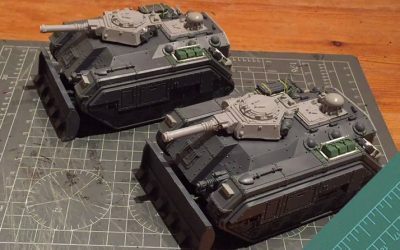 Dealing with Forgeworld Resin and all the prep work needed before you paint the models. 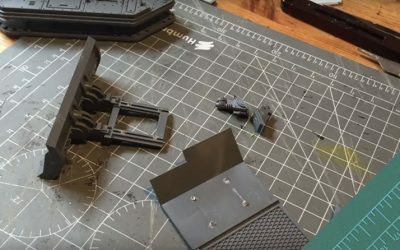 In this video I add additional detail and equipment to the track guards. 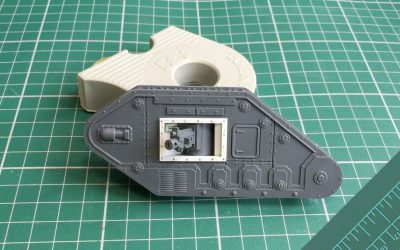 Recreating the Forge World Armoured Track Guards for the Storm Chimera from spare parts of the Lemun Russ kit. 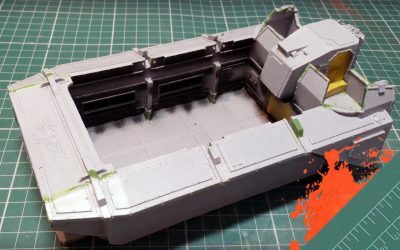 How to design the top hull to be unique from a standard Chimera, creating a sealed hull with air vents/filters, similar to other Krieg tanks. First part in this Storm Chimera series. 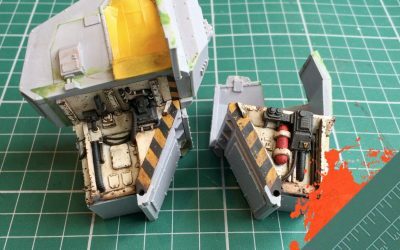 This video covers magnetising the bulldozer and the hull weapons.